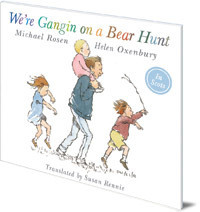 We're gangin on a bear hunt. We're gaun tae catch a braw yin. Get ready for a big adventure, as a family of brave bear hunters trudges through muckle forests and skirlin snawstorms, claggie mud and a deep cauld river in search of a glowerin bear. 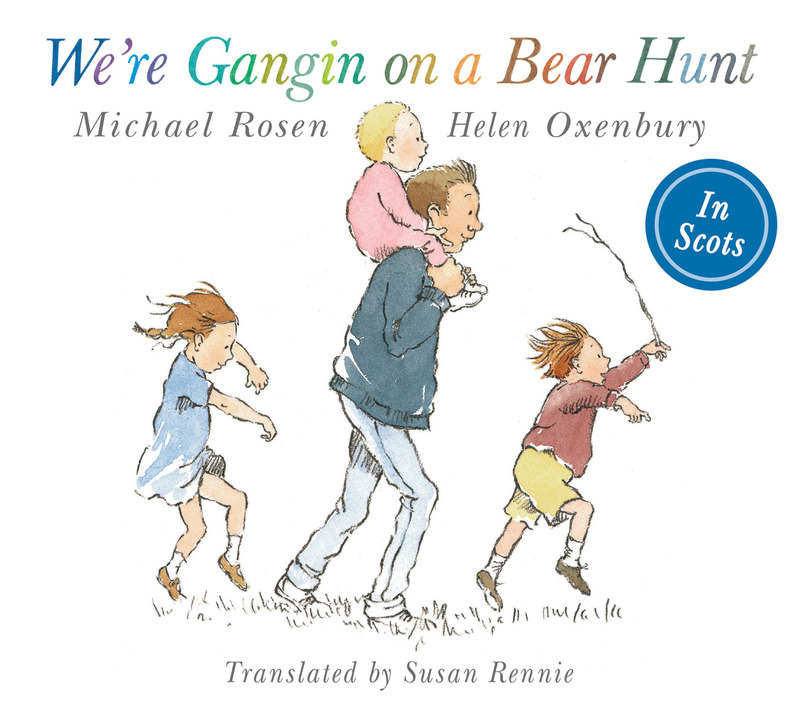 Michael Rosen and Helen Oxenbury's classic We're Going on a Bear Hunt is charmingly recreated in Scots for little adventurers. The original words and illustrations are transformed by language expert Susan Rennie into lively Scots for a bright and bonnie take on this favourite tale. Perfect for reading aloud with young children. Michael Rosen grew up in London and has worked as a writer, teacher, journalist, performer and broadcaster. He has written numerous picture books for young children, and fiction and non-fiction for children and adults. We're Going on a Bear Hunt won the Nestle Smarties Grand Prize in 1989. His other books include You Can't Catch Me and Don't Put Mustard in the Custard. Helen Oxenbury grew up in Ipswich and worked on sets and scenery in theatre, film and TV, before she started illustrating children's books. She illustrated the Kate Greenaway Medal-winning Alice's Adventures in Wonderland by Lewis Carroll, Smarties Book Prize-winning Farmer Duck by Martin Waddell and a number of board books for babies.